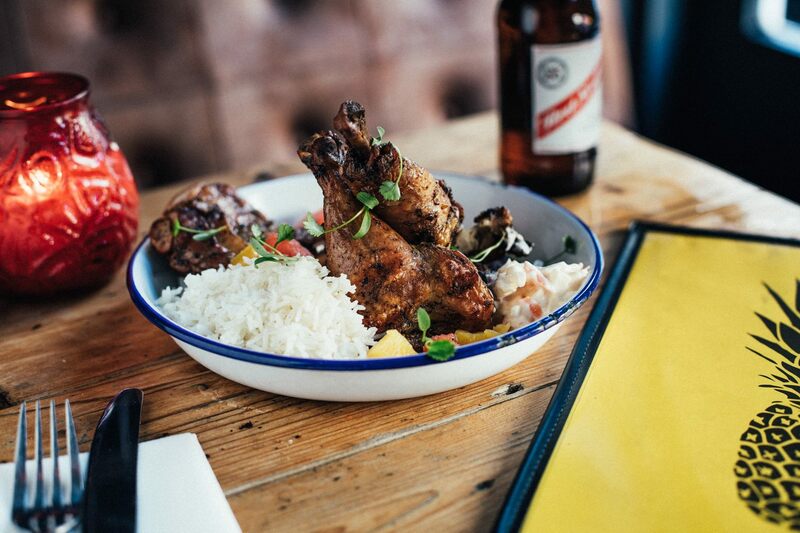 In the week leading up to Notting Hill Carnival, we’ve got jerk chicken, rice and peas on the mind. Here’s a couple of joints where you can get your fix of jerk (without ending up at your ex’s house). Cafe Caribbean started out as a small stall in Covent Garden back in 1993 and the owner and chef, Warren Richards, has continued to maintain its authentic, homemade feel. 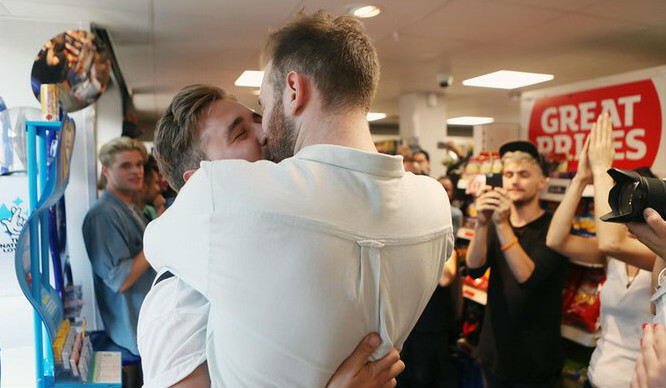 After all, he did learn the recipes from the lady who knows best – his mum. Now based in Old Spitalfields Market (and an extremely popular lunchtime choice for the surrounding offices), you’d be jerkin’ mad not to have a taste of this chicken. Arguably the best in East London. If the rustic, dated interiors put you off, you’ve got a bad eye for finding top jerk chicken. 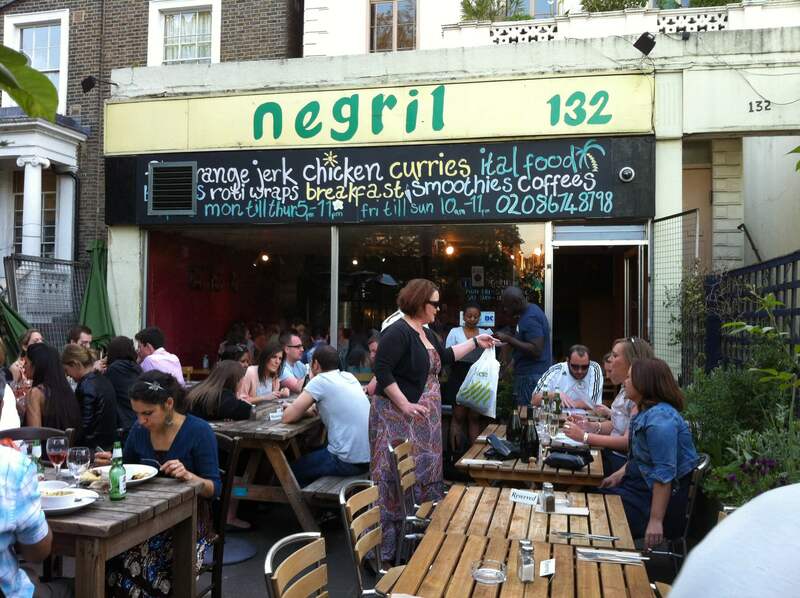 The food at Negril lacks fuss – much like the restaurant itself – but fuss is the last thing you want. What you want is hearty portion size, juicy meat, sweet and spicy flavours and some seriously messy fingers at the end. Negril get it spot on. 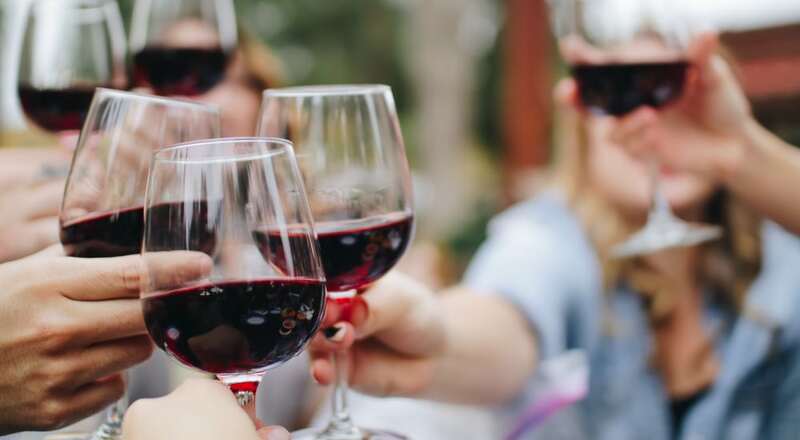 And for £2 corkage per head, you can also bring your own beer and wine (but you’ll obviously make sure it’s Red Stripe). A little slice of the Caribbean tucked away upstairs in Boxpark’s warren of shipping containers. Head up here for some heavily rum-spiked cocktails (there’s 250 rums to choose from) and tropical vibes (well, it’s as close to the West Indies as you’ll get in East London). 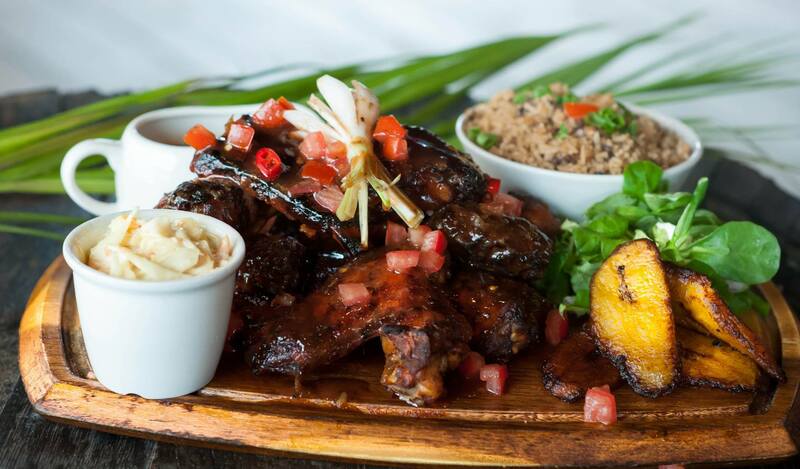 If you’re feeling particularly hungry and want to try a bit of everything, get the Cotton’s Sharing Platter – it’s piled high with saucy jerk meat, as well as fried plantain and, of course, rice and peas. With branches in Notting Hill, Brixton and Soho, the Rum Shack is the place for easy-access jerk. 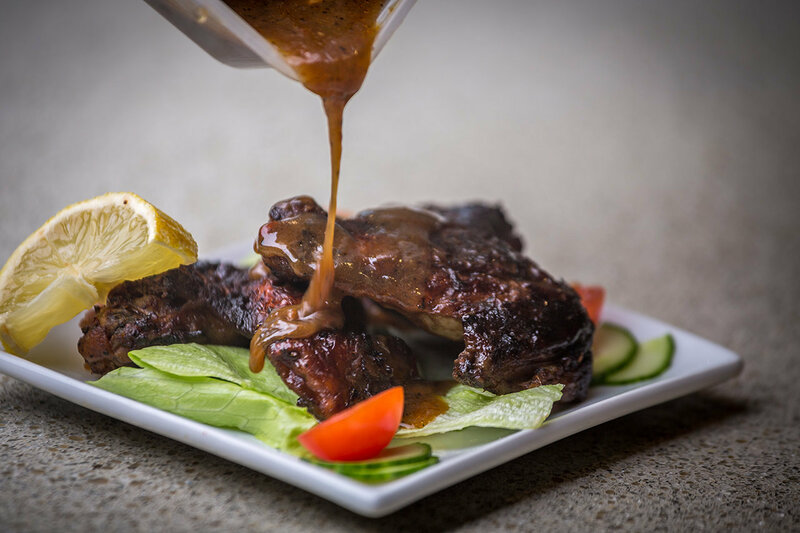 Their jerk chicken wings are slathered in a boozy rum baste, for that extra finger-lickin’ kick. The venues are pretty cool places too, with bright and colourful interiors to reflect the multitude of flavours. If you’re going to venture to Notting Hill Carnival this weekend, you simply cannot miss the food. Each year family-run stalls line the streets and the jerk chicken served up is the real deal. If you’re feeling more adventurous you might want to try the curried goat too. Grab a rum punch in a plastic bottle and you’ll be laughing.